Drive off with the right ride and rate for you. At Bank of Cooperstown, we work closely with you to secure a lending solution that works for you. 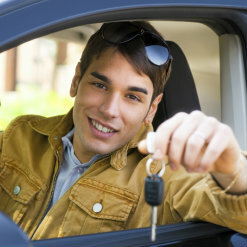 We also provide quick and easy pre-approval so you're that much more confident when shopping for a vehicle. Plus, we handle all decision-making and processing locally — taking you from paperwork to pavement in no time flat!